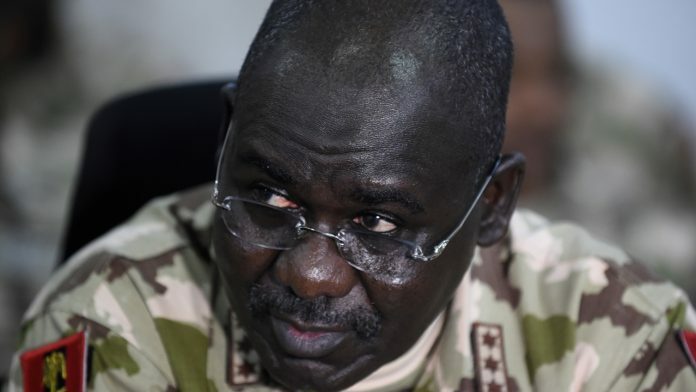 BEVERLY HILLS, February 11, (THEWILL) – The Chief of Army Staff, Tukur Buratai, has vowed that the Nigerian military will break the unholy alliance between the Boko Haram terrorists and Islamic State West Africa or ISWA. Buratai, a lieutenant-general, spoke on Monday in Abuja when he declared open a two-day maiden “Career planning and management’’ seminar for senior officers. “You would also be exposed to human resources management in a world of `Volatility, Uncertainty, Complexity and Ambiguity’ (VUCA),” he said. “I, therefore, urge you to uphold the highest professional conduct during the elections,” he said.